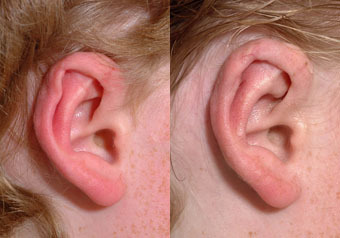 Crumpled ears probably represent variants of Lop ear and/or deformation of the ear pre or postnatally. The outer rim or “Helix” is bent or crumpled out of shape. Similar problems can exist following trauma. It is possible to improve the appearance using grafts of cartilage harvested from the bowl of the ear. Usually this is a day surgery procedure.